Classes Saturday: Competitive 2 day 80km2 day 60km50km40km30km Pleasure short Pleasure long Taster Route organisers Penny Hudson, Coral Bugden, Rosemary MatthewVenue details The venue is a field on a slight slope. There is limited hardstanding for large horseboxes. There will be Porta-loos on site. Camping and coralling is available Friday evening to Sunday evening. There will be a meal in the marquee on Saturday night. Route descriptionA scenic route with fantastic views - undulating terrain with open farmland, tracks, bridleways, quiet lanes. There will hopefully be an extension to the existing route too. A 2-day event with meal on the Saturday night. Road 15% Fields/moorland 45% Tracks 40%There will be a 2 course meal on Saturday night in the Marquee - plus hopefully a quiz and / or pony drivePostal entries accepted along with payment by cheque only - send to: KateHigginson 7 WatchhillParkCANONBIE Dumfries and Galloway UKDG14 0TD Equine Flu Vaccinations ALL horses attending MUST comply with the following Equine Flu vaccination rules Equines must undergo a primary course where the first and second vaccinations are no less than 21 days and no more than 92 days apart. Seven days must have elapsed after the second vaccination before it is deemed to be fully covered and be able to arrive at a venue. The horse will then require a third vaccination between 150-215 days after the second. Vaccination 1 Vaccination 2 21-92 days after vaccination 1 Vaccination 3 between 150 to 215 days after the second vaccination Vaccination 4 onwards within 12 months of the previous vaccination Equines may not take part in an event until 7 days have elapsed after any vaccination. Horse passports must be available for inspection at the pre- ride vetting. Both the horse ID and influenza vaccination record will be checked for compliance. Failure to either present a passport or should non-compliance be shown then the horse will not be allowed to take part in the ride/event with no refund of entry fees being given. The horse will not be allowed to compete within SERC until the vaccination record is compliant and any advance entries made from the initial non-compliance date will not be refunded. All our rides depend on members and friends helping to cover the required tasks. Please make this ride happen by signing up. For insurance purposes it is essential that all helpers are signed up/listed on Clubhouse, whether members or not. Actual roles will be allocated by the Helper’s Co-ordinator for this ride and you will be sent all the information that you need approximately 3 to 4 days beforehand. To read more about the individual roles click on this link How to help at our rides All helpers must hand in a completed medical card on arrival. The card should be in a sealed envelope with your name written on the front. If you don't already have a card click here to download a blank Blank Medical CardRemember to collect the card at the end of the day to use in the future. 2 course meal costing £13.00 per person Chilli con Carne, or Chicken Stroganoff or Vegetable pasta bake. (A gluten free option can be given if needed) Desserts are either cheesecake or profiteroles. Classes Sunday: Competitive 2 day 80km - Day22 day 60km - Day 250km40km30km Pleasure Pleasure long Taster Route organisers Penny Hudson, Coral Bugden, Rosemary MatthewVenue details The venue is a field on a slight slope. There is limited hardstanding for large horseboxes. There will be Porta-loos on site. Camping and corralling is available Friday evening to Sunday evening. There will be a meal in the marquee on Saturday night. Route description A scenic route with fantastic views - undulating terrain with open farmland, tracks, bridleways, quiet lanes. There will hopefully be an extension to the existing route too. A 2-day event with meal on the Saturday night. Road 15% Fields/moorland 45% Tracks 40%There will be a 2 course meal on Saturday night in the Marquee - plus hopefully a quiz and / or pony drivePostal entries accepted along with payment by cheque only - send to: KateHigginson 7 WatchhillParkCANONBIE Dumfries and Galloway UKDG14 0TD Equine Flu Vaccinations ALL horses attending MUST comply with the following Equine Flu vaccination rules Equines must undergo a primary course where the first and second vaccinations are no less than 21 days and no more than 92 days apart. Seven days must have elapsed after the second vaccination before it is deemed to be fully covered and be able to arrive at a venue. The horse will then require a third vaccination between 150-215 days after the second. Vaccination 1 Vaccination 2 21-92 days after vaccination 1 Vaccination 3 between 150 to 215 days after the second vaccination Vaccination 4 onwards within 12 months of the previous vaccination Equines may not take part in an event until 7 days have elapsed after any vaccination. Horse passports must be available for inspection at the pre- ride vetting. Both the horse ID and influenza vaccination record will be checked for compliance. Failure to either present a passport or should non-compliance be shown then the horse will not be allowed to take part in the ride/event with no refund of entry fees being given. The horse will not be allowed to compete within SERC until the vaccination record is compliant and any advance entries made from the initial non-compliance date will not be refunded. This is a balloted ride with a maximum number of 30 entries due to limited parkingClasses: Pleasure/training - approx distance 16km Note that a £2.00 levy has been added to the entry feesRoute organiser Sarah PerkinsVenue details Forestry Commission car park with on site toiletsRoute details 100% Forestry Lovely route around forest tracks. All year round tracks but it can be chilly so wrap up warm,Postal entries and payment to: Mary Stockdale 2/1 13 Falcon Avenue EDINBURGH EH10 4AL Limited parking so please share wherever possible Click here to email the entry secretary Equine Flu Vaccinations ALL horses attending MUST comply with the following Equine Flu vaccination rules Equines must undergo a primary course where the first and second vaccinations are no less than 21 days and no more than 92 days apart. Seven days must have elapsed after the second vaccination before it is deemed to be fully covered and be able to arrive at a venue. The horse will then require a third vaccination between 150-215 days after the second. Vaccination 1 Vaccination 2: 21-92 days after vaccination 1 Vaccination 3: between 150 to 215 days after the second vaccination Vaccination 4: onwards within 12 months of the previous vaccination Equines may not take part in an event until 7 days have elapsed after any vaccination. Horse passports must be available for inspection at the pre- ride vetting. Both the horse ID and influenza vaccination record will be checked for compliance. Failure to either present a passport or should non-compliance be shown then the horse will not be allowed to take part in the ride/event with no refund of entry fees being given. The horse will not be allowed to compete within SERC until the vaccination record is compliant and any advance entries made from the initial non-compliance date will not be refunded. Classes: Pleasure - approx distance 17kmTaster - approx distance 10km Route organiser Laura MacGregorVenue details Hard standingRoute description Forest and hill tracks which follows along some of the Kintyre Way with fantastic views across the Sound of Bute to the Isle of Arran and North AyrshireRoad - 5%Forestry - 85%Tracks - 10% Postal entries accepted along with payment by cheque only -send to: HazelMcCorkindale ScammadaleFarmKilninverBY OBANArgyllPA34 4UU Equine Flu Vaccinations ALL horses attending MUST comply with the following Equine Flu vaccination rules Equines must undergo a primary course where the first and second vaccinations are no less than 21 days and no more than 92 days apart. Seven days must have elapsed after the second vaccination before it is deemed to be fully covered and be able to arrive at a venue. The horse will then require a third vaccination between 150-215 days after the second. Vaccination 1 Vaccination 2 21-92 days after vaccination 1 Vaccination 3 between 150 to 215 days after the second vaccination Vaccination 4 onwards within 12 months of the previous vaccination Equines may not take part in an event until 7 days have elapsed after any vaccination. Horse passports must be available for inspection at the pre- ride vetting. Both the horse ID and influenza vaccination record will be checked for compliance. Failure to either present a passport or should non-compliance be shown then the horse will not be allowed to take part in the ride/event with no refund of entry fees being given. 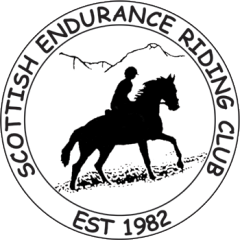 The horse will not be allowed to compete within SERC until the vaccination record is compliant and any advance entries made from the initial non-compliance date will not be refunded.